Friends, it’s time to welcome fall. What a great time of the year for us … students have returned to campus, classes are back in full-swing, and K-State football is finally here again! 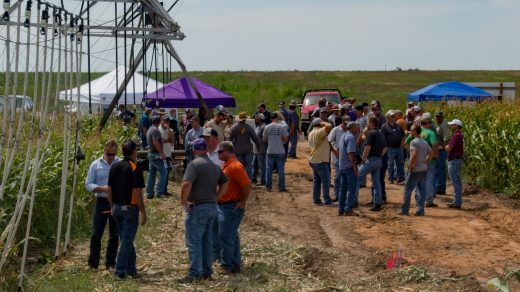 We at KCARE are very excited to note some successes of the season: the Experiment Station and Water Technology Farms’ field days were well-attended, and there appears to be lots of interest in implementing new water management technologies across the state. Please read more about the Water Technology Farms in this edition of our newsletter. I also appreciate all the efforts by irrigators and others to explore the development of new LEMAs, etc. I look forward to getting updated on research results and other water issues at the 2017 Governor’s Water Conference in Manhattan on November 8-9. Registration for the event will be available in September, but a call for abstracts on water research is ongoing. Please check the KCARE website for more information. Farmers use cover crops to reap plenty of benefits. Cover crops are a great way to slow down erosion or to stop weeds from covering fields. They can attract pollinators. Some varieties take nitrogen from the air and store it in their roots to benefit soil quality. And for livestock producers, cover crops have an added benefit: they also can serve as forage for grazing animals. However, the reality takes more planning to avoid losses for farmers – some of them catastrophic. 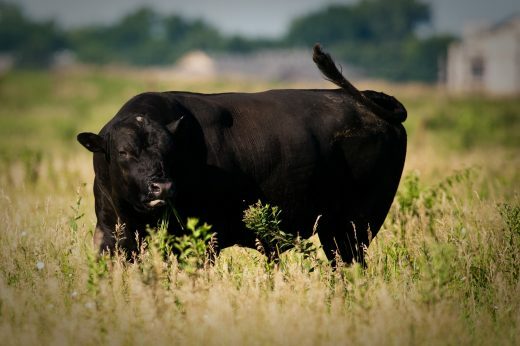 Cover crops are a little bit like the story of Goldilocks: there are only some considered “just right” for cattle and deemed “very safe” by experts. Other varieties are “too hot or too cold”: they can cause metabolic issues for livestock that, while manageable, can be an unpleasant surprise for uninformed producers. Still other cover crop varieties are so toxic, they can kill entire herds. Kansas leads most of the nation when it comes to agriculture, and it’s a tradition that has existed since before the Sunflower State joined the Union. Over the course of time, much about farming has changed in each of Kansas’ 105 counties ­– from crop rotations to farm equipment to irrigation technologies. Dr. Jonathan Aguilar is one of the researchers from Kansas State University helping farmers use the latest innovations to improve their harvest. Dr. Aguilar hails from the Philippines, where he received both his bachelor’s and master’s degrees in agricultural engineering from the University of the Philippines-Los Baños (UPLB). While there, his studies focused on land and water resources as it pertained to irrigated agriculture and environmental stewardship. After graduating, he continued to work at the university as a researcher, as well as taking on several water resource-related projects with the UPLB Foundation, the Philippine Department of Agriculture, and the UN Food and Agriculture Organization. 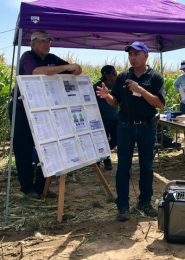 Dr. Aguilar came to K-State to pursue his doctoral degree in biological and agricultural engineering and graduated in 2009. 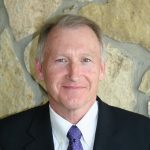 He joined the faculty here in 2012.